I got this idea within a dream. It was the first time I'd actually gotten a project idea while dreaming, so I really wanted to bring it to life. 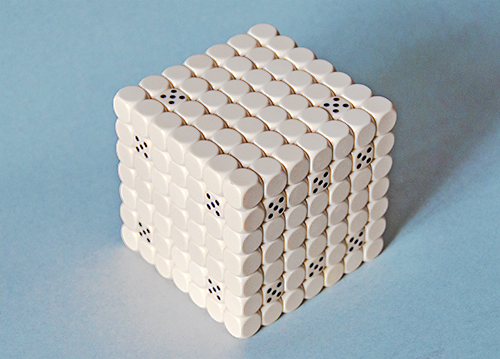 It's a die made from 343 dice, some blank. I used the 5's for the dots because they are symmetrical.